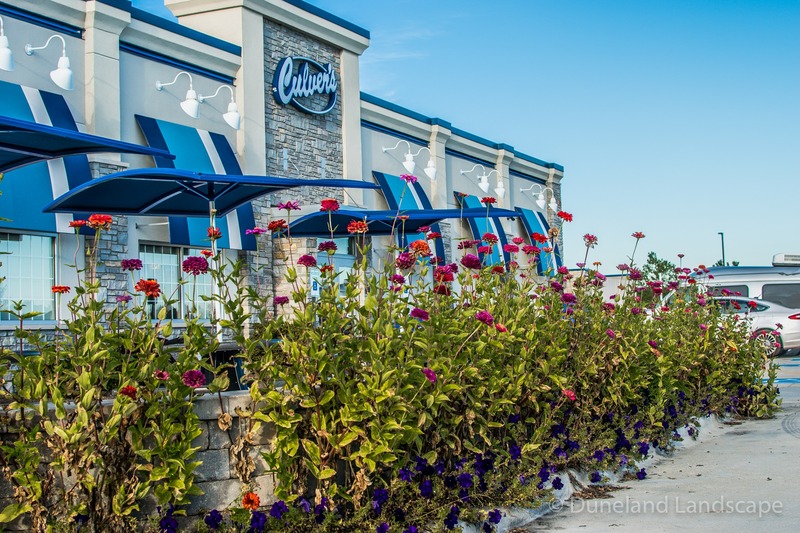 In Chesterton, Indiana, Duneland Landscape designed and installed commercial hardscaping and landscaping for Culver’s restaurant. 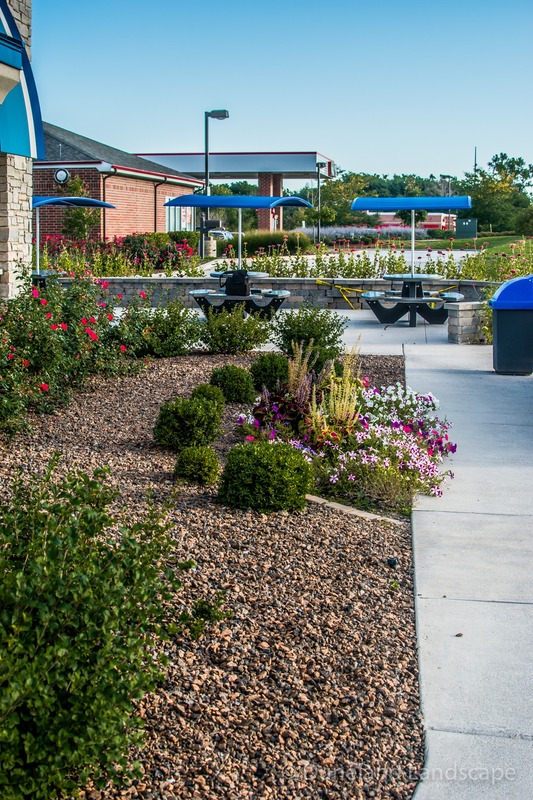 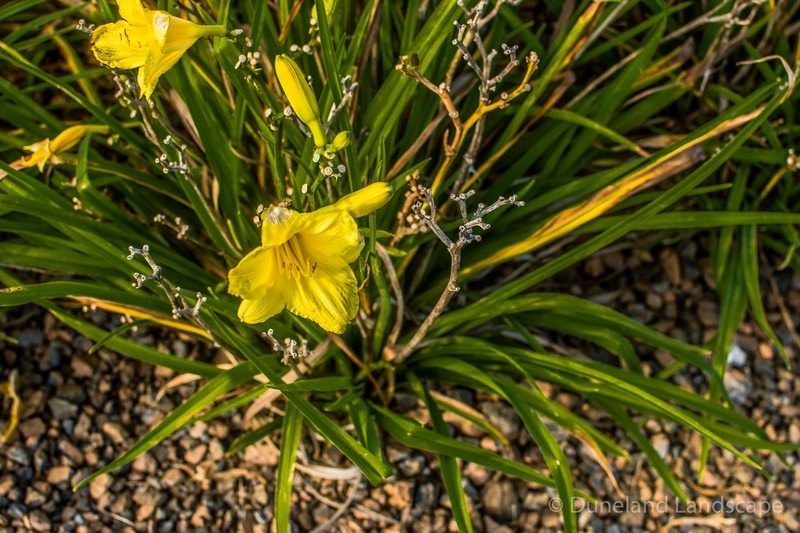 For this company’s landscaping needs, the materials needed to be easy to maintain yet aesthetically pleasing year after year. 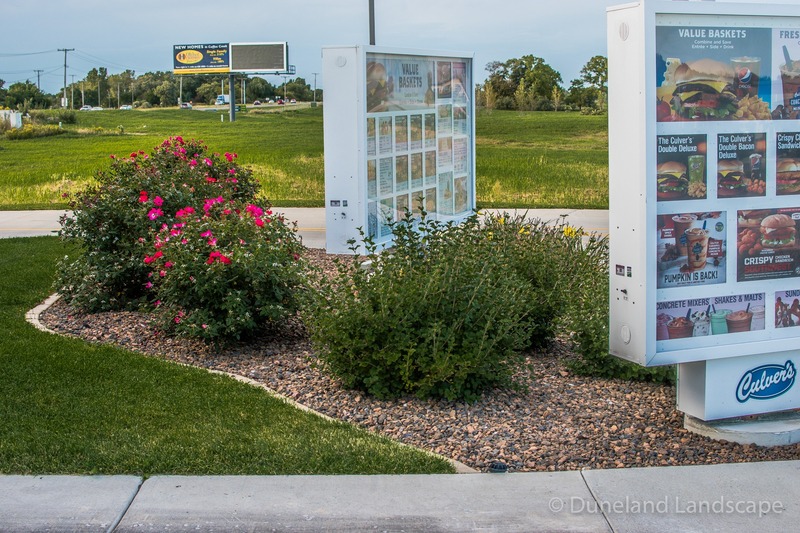 These necessities will allow the company to focus on growing their business while continuing to entice customers into their doors. 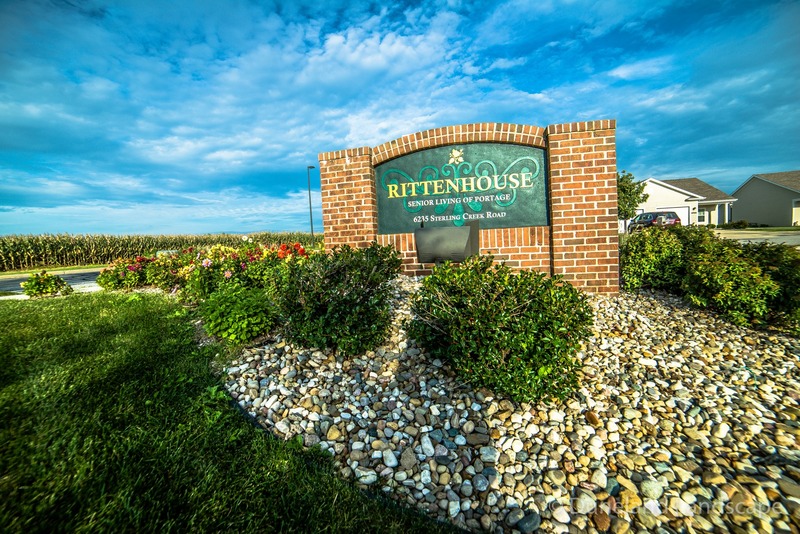 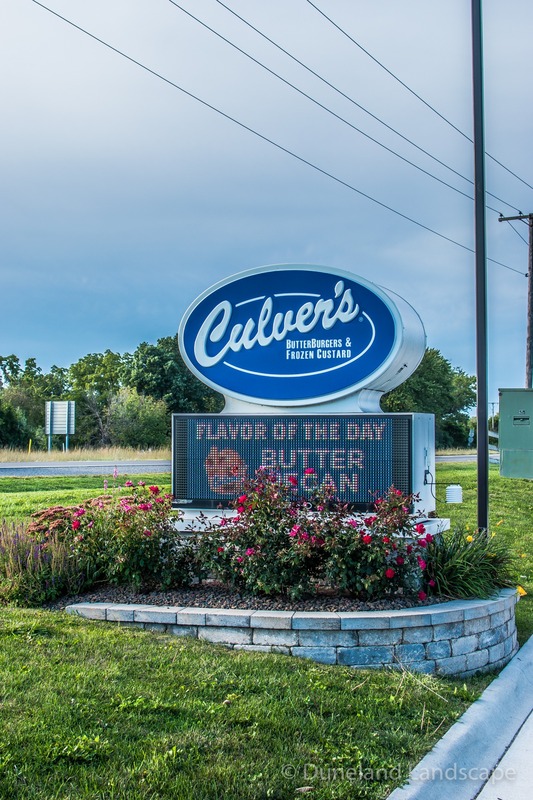 We began this project by constructing a small retaining wall surrounding the marketing sign near the entrance. 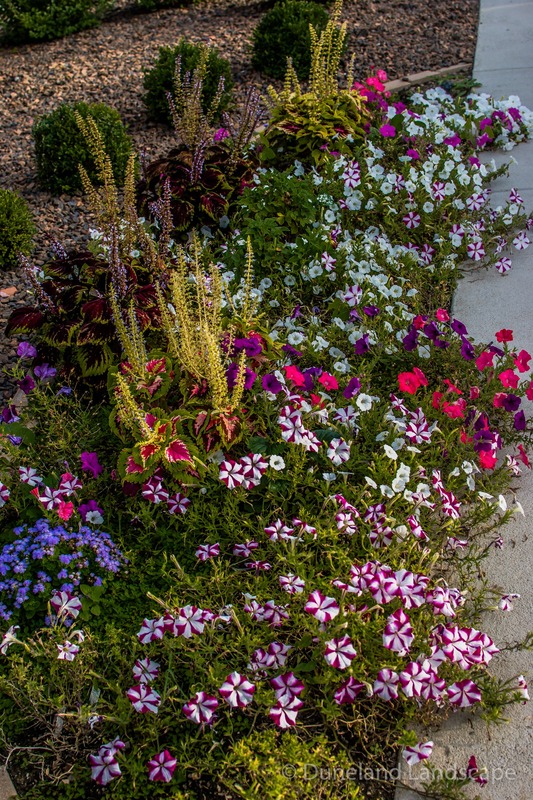 In this small planting area, we planted perennial flowers and sturdy low-growing bushes. 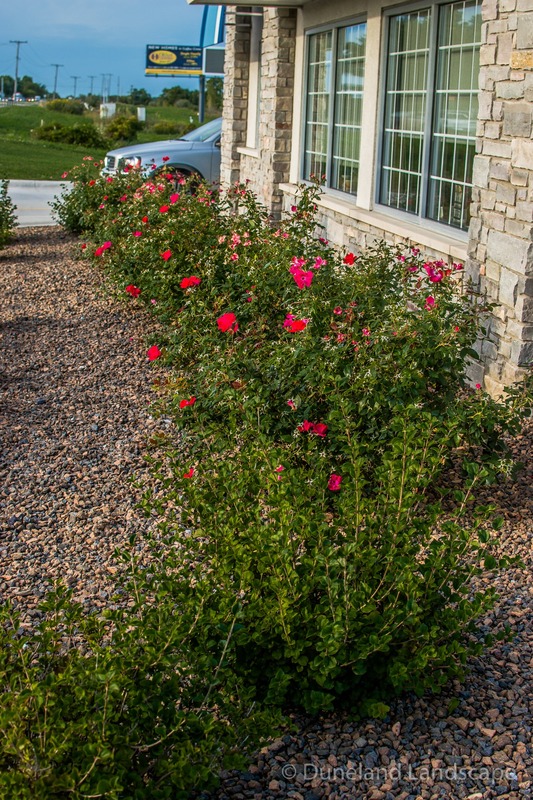 For easy maintenance, we surrounded these plantings with small pebble hardscaping stones to eliminate the need for grass cutting and weeding. 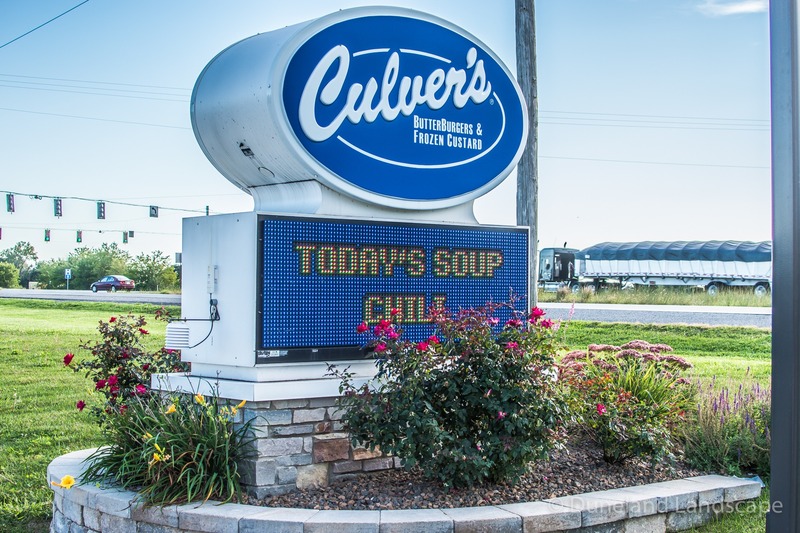 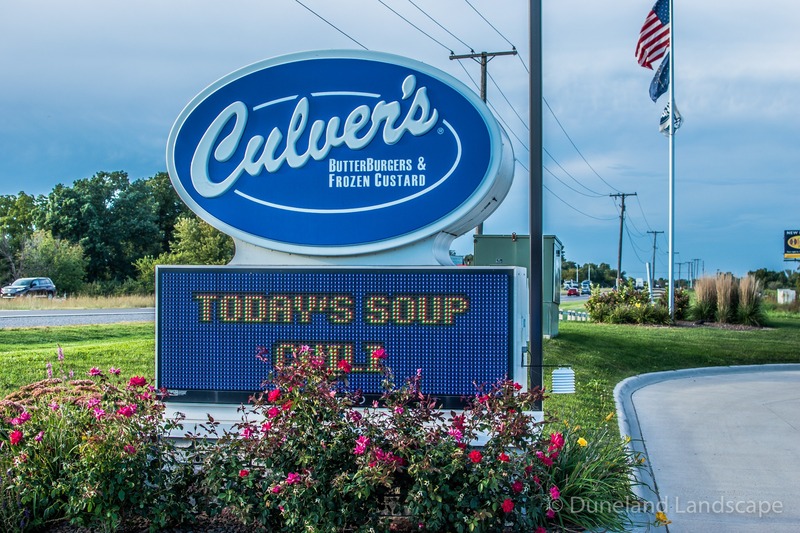 We incorporated a similar commercial landscape design in other areas of the Culver’s restaurant property. 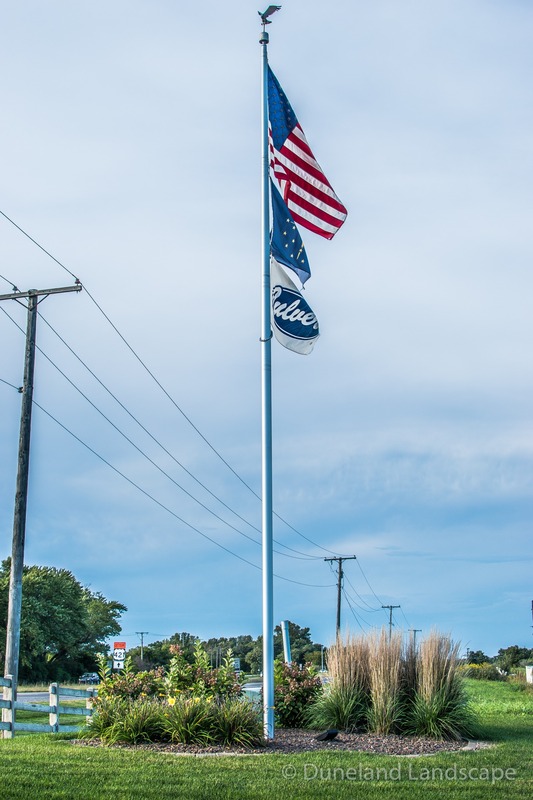 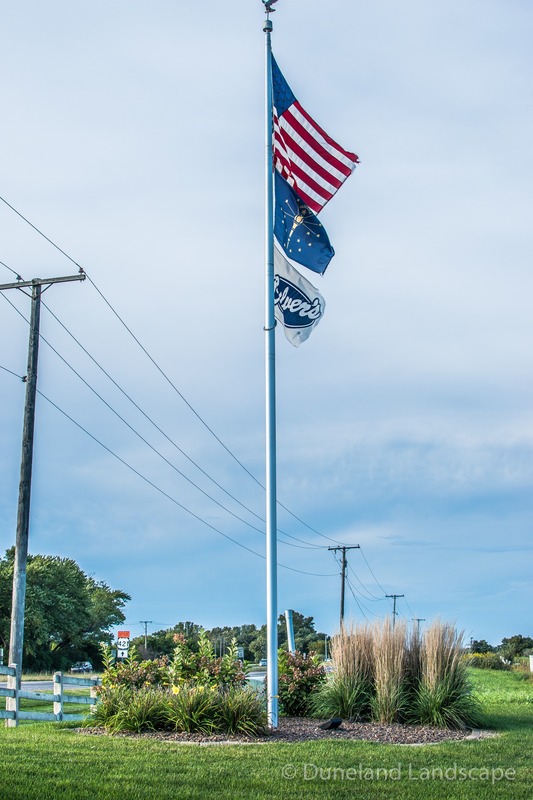 Near the flag pole, we added taller growing bushes with dimensional hues of green to draw the eye upwards to the Culver’s flag. 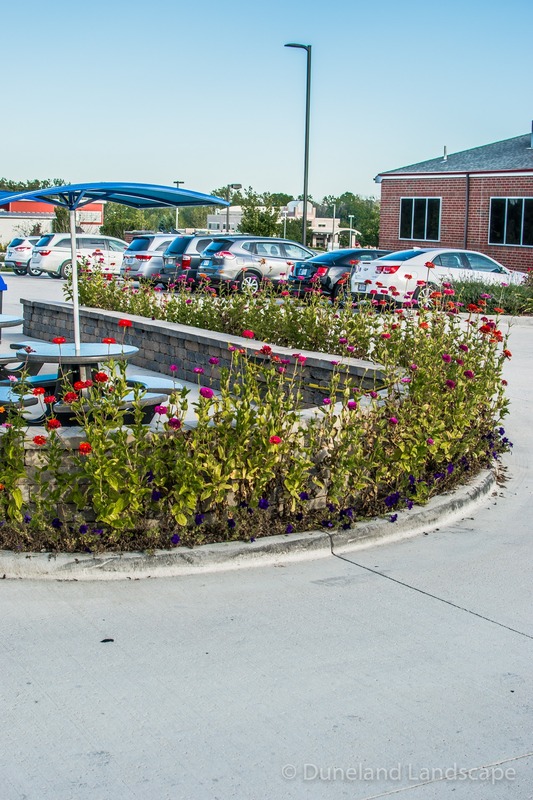 Additionally, we added colorful flowers in red gravel rock beds along the picnic area, sidewalks, and parking lot to create an inviting atmosphere. 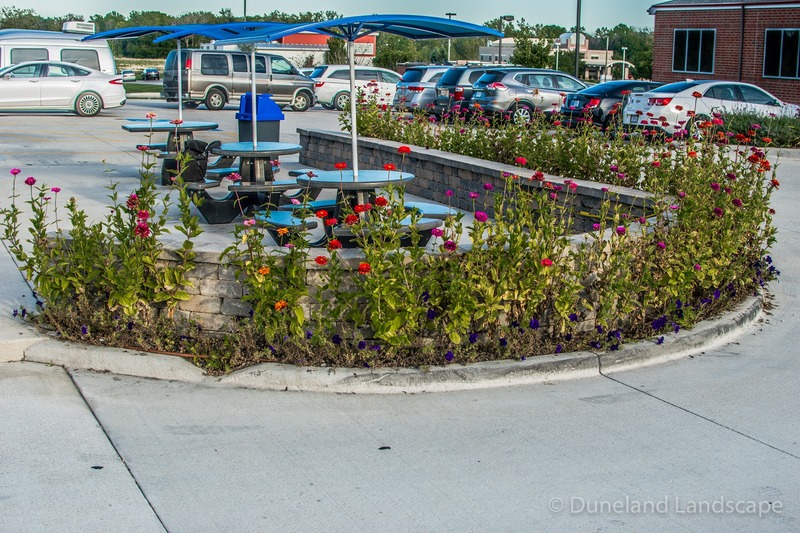 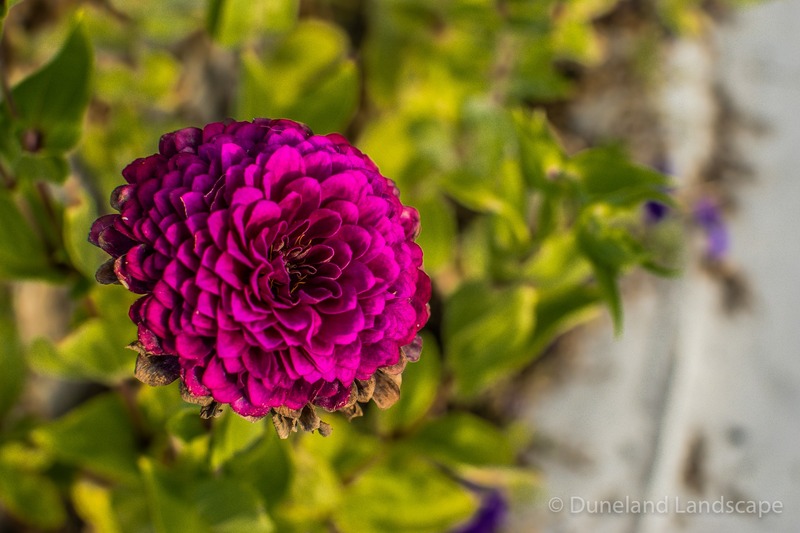 The flowers boast colorful shades of pink, red, and purple in an eye-catching contrast to the light blue hues of the Culver’s window awnings and picnic table umbrellas. 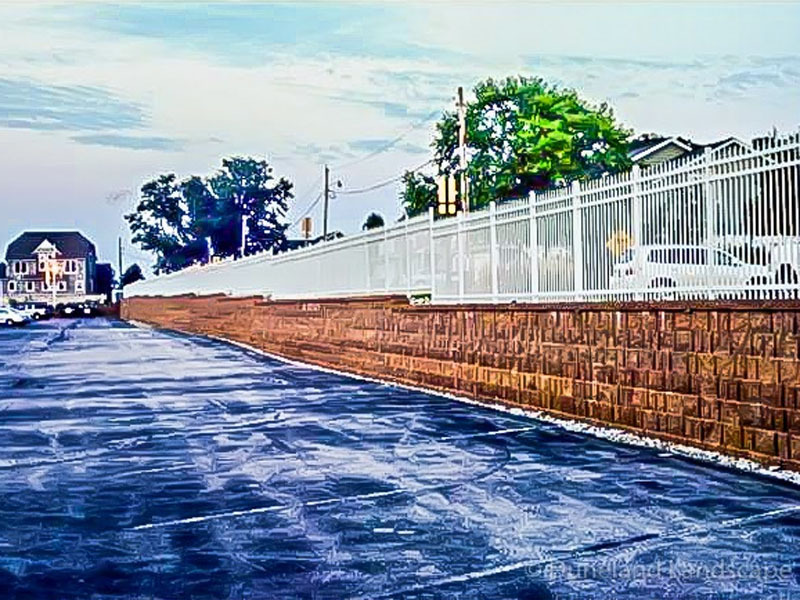 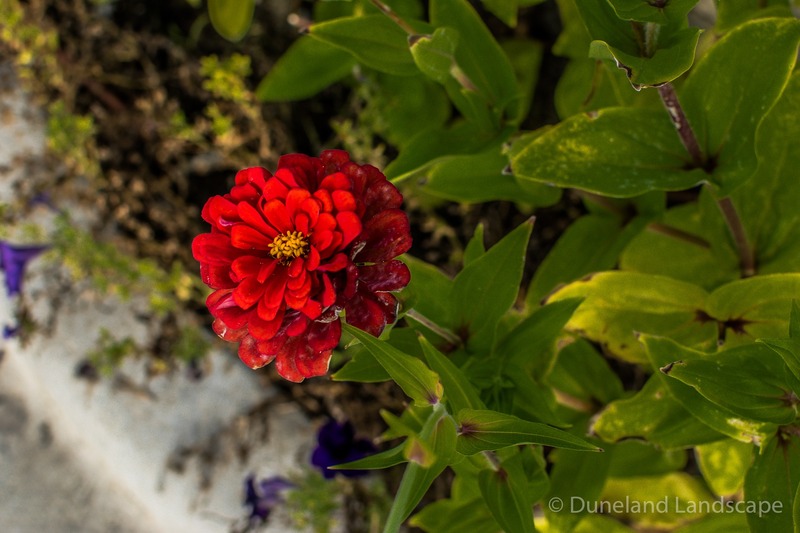 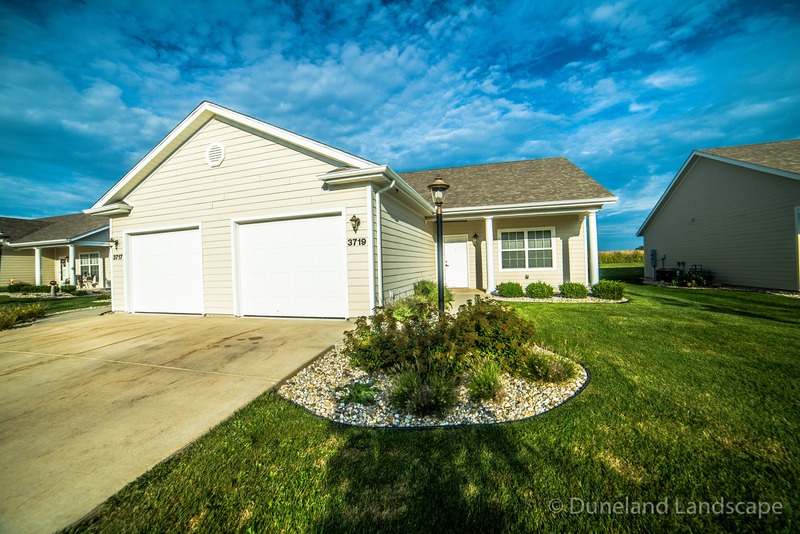 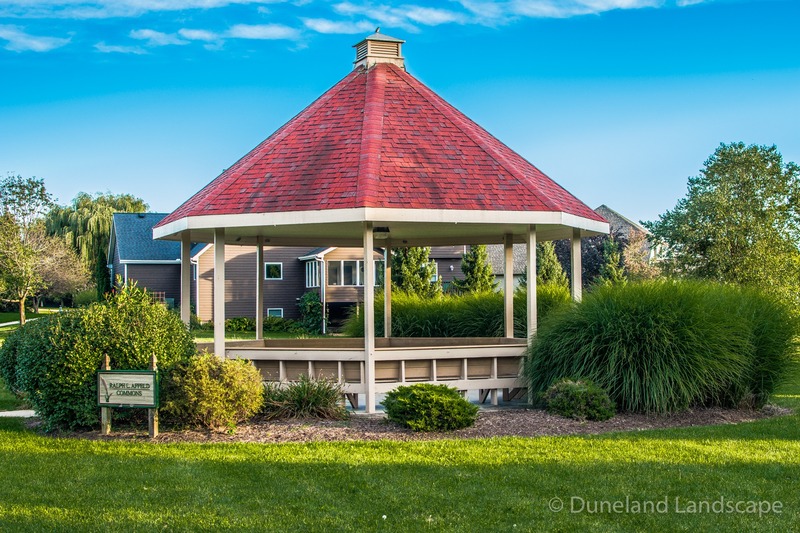 If you are a business looking for quality commercial landscape and hardscape design and installation, look no further than Duneland Landscape. 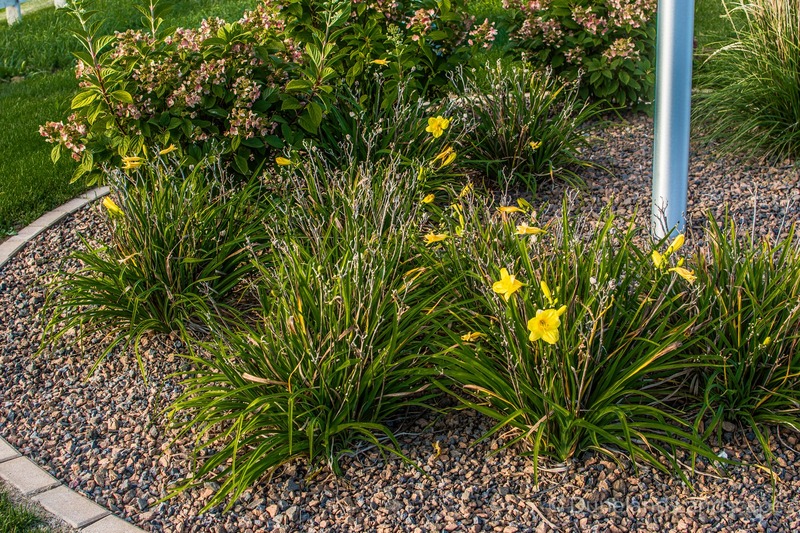 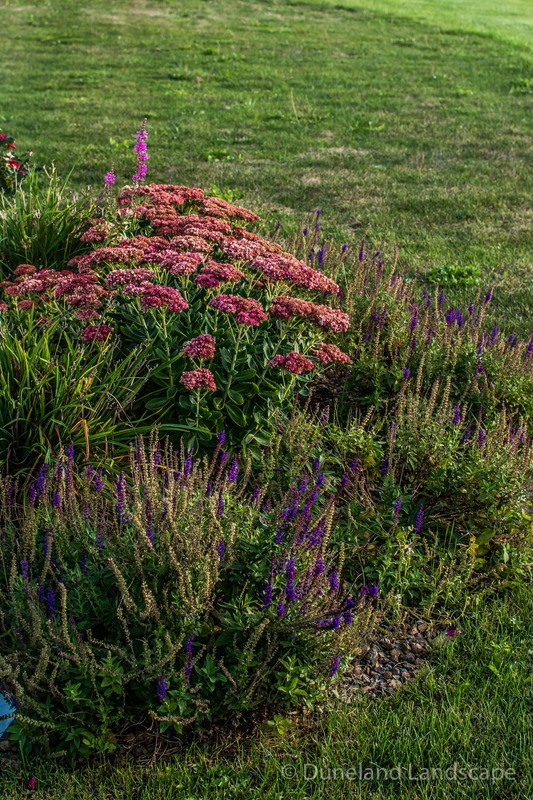 We are a trusted landscape company for businesses in the Northwest Indiana and Southern Michigan area. 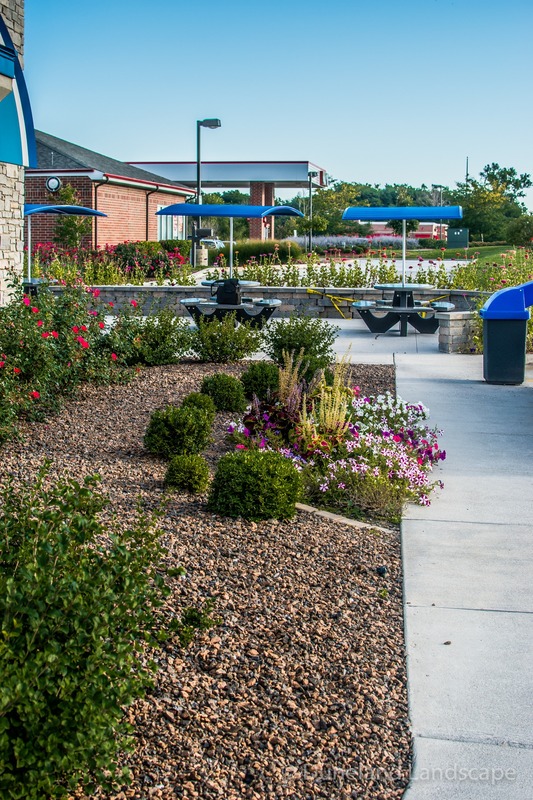 Contact us today for more information and begin creating the perfect landscape for your company.